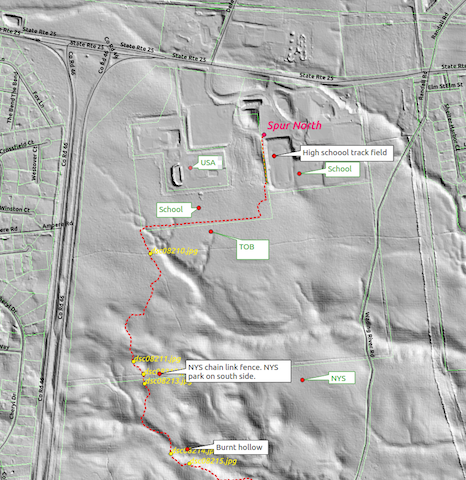 "On a school day, YT and I started to hike the Brookhaven Trail at the high school on NY25A. Security stopped us. We had to both go to the Shoreham-Wading-River District Office. We had to both buy a $5 permit. They gave us a dashboard permit and a personal id badge. They expect us to register at the office every time we hike. They expect the permit in the car. They expect us to wear the id badge on the trail. It took more than a half hour to register. Plan accordingly." 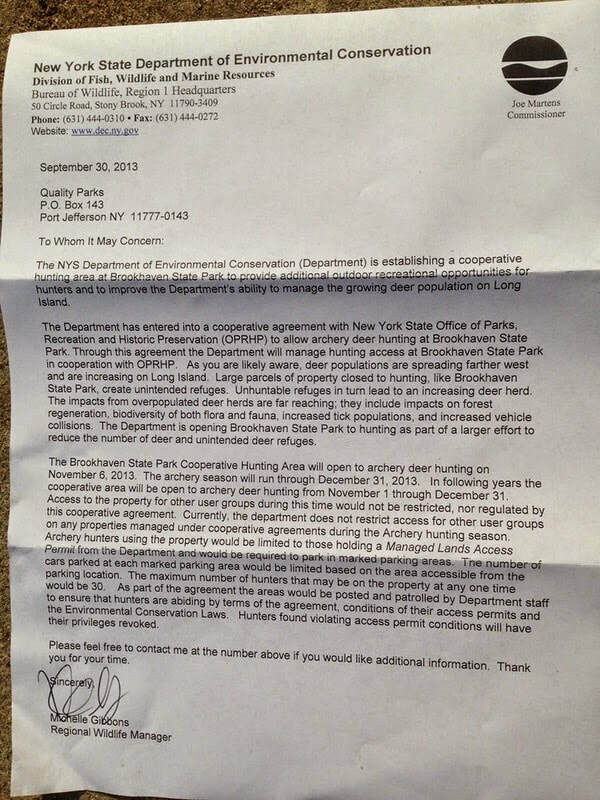 An agreement between NYSDEC and NY State Parks is allowing hunting in Brookhaven State Park, without transferring the property to NYSDEC, and without closing off the park to hiking, jogging, bicycling, and equestrian use. 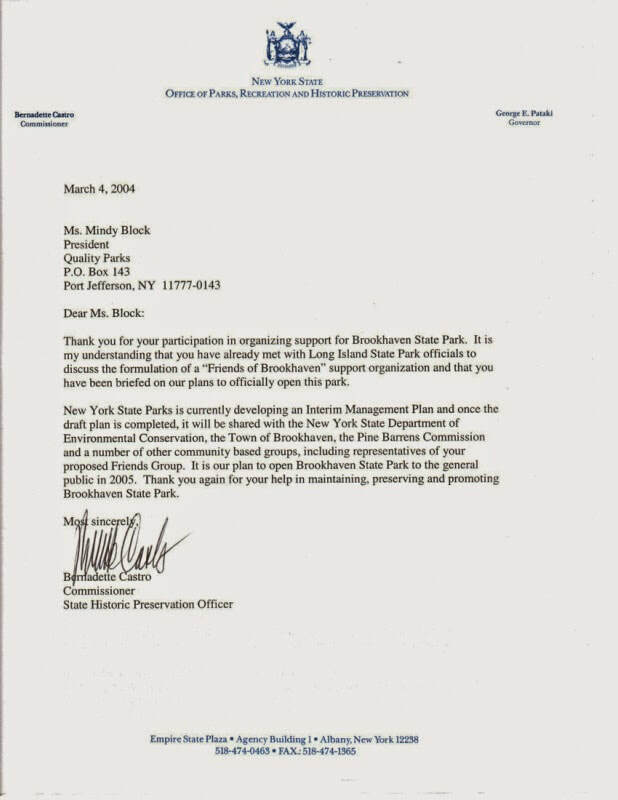 With continued threats of BSP closure, Quality Parks role was to increase our active base of grassroots supporters. See this great story written and posted on a Blog site that is now no longer active. 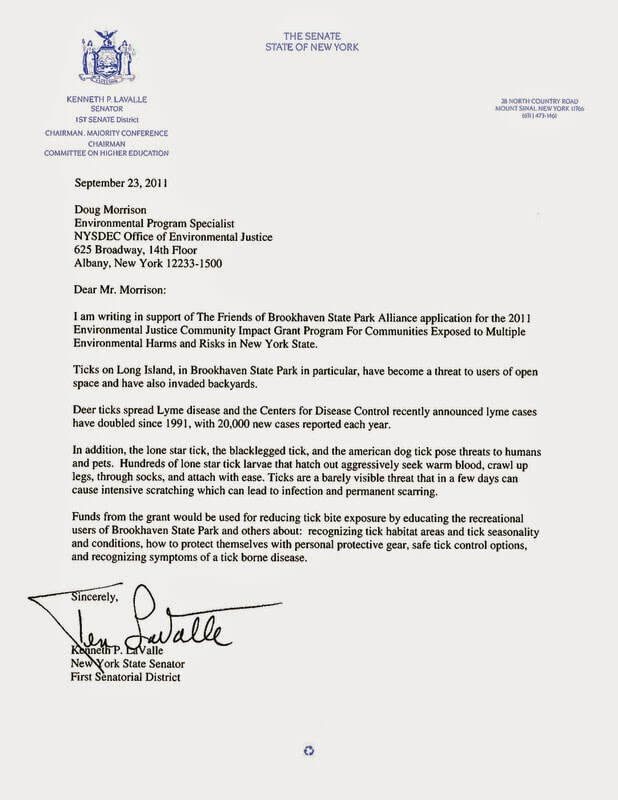 We also applied for a grant for tick bite prevention, via the NY State Environmental Justice Fund. We didn't win this grant, but hope some day to accomplish our goals and objectives. See letter below as well. 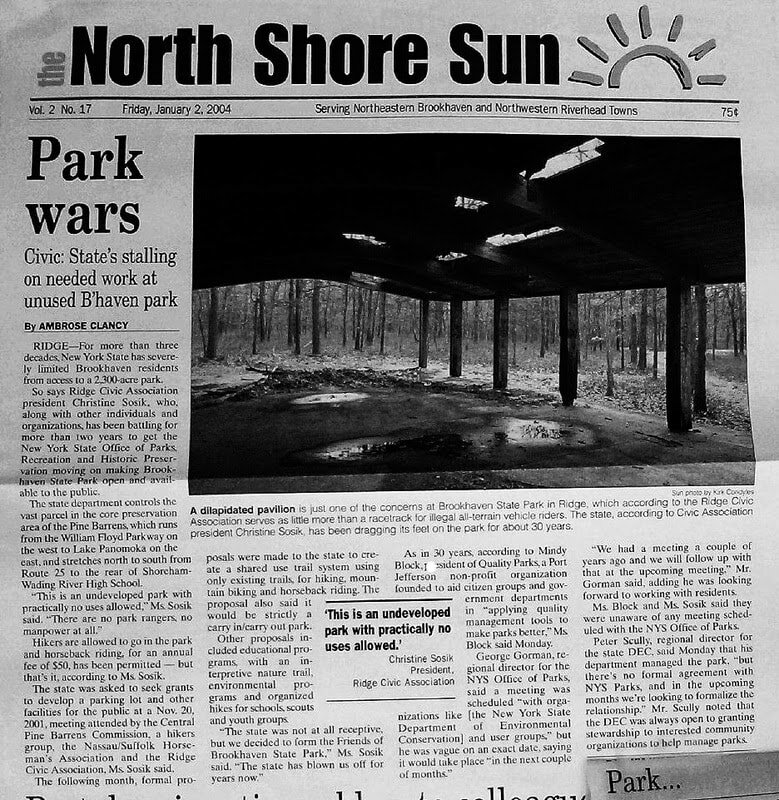 According to the following article, the “Friends of Brookhaven State Park evaporated in frustration.” At the time the article published, no one was available to start up the organization. Chris Sosik was busy with Ridge Civic Association, and Mindy Block was busy with Quality Parks. 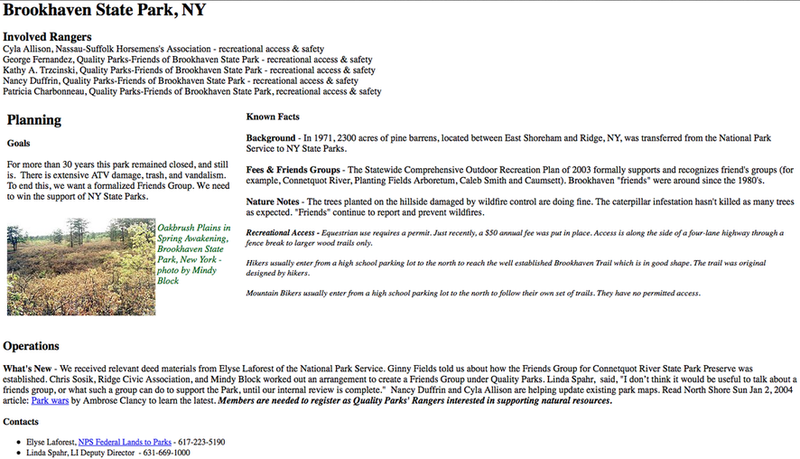 Running the group under QP for a while, hoping someone would formalize it, and work with NY State Parks was the plan. Friends groups are limited in their role by specific state requirements and limits, as well, which didn't bode well with advocacy work. Currently, the Friends of Brookhaven State Park Alliance is a "renegade" group, free floating Facebook group. If anyone has any ideas on how to officially formalize this group, it's always open for discussion. Long Island Greenbelt Trail Conference volunteers, under the leadership of Raymond P. Corwin, spend countless weekends designing and creating the Brookhaven Trail.